A Ockershausen:	This is Our Town, and this is Andy Ockershausen. I’m so delighted for many, many reasons I’ll get into to talk to our guest. I’ve known him for many years. I would say it’s close to three decades, if not more. I can still remember listening to Ric Edelman as a guest with Trumbull and Core talking about Disney stock and what a great Christmas gift that would be, or about the value of 12 days of Christmas, or his fabulous Thanksgiving dinners with his wife, Jean. He was part of the WMAL family, a big part of the success of the greatest radio station in the world, at one time. He has the longest running show for cash paid for on WMAL radio in history. This man’s a genius. He’s an author, an innovator, a philanthropist, a visionary. He’s my financial planner. He has the ear of so many important people in Congress and The Wall Street. According to The Wall Street Journal, he recently sold his company for $880 million, and he didn’t have a mortgage, which pleases me no end. I use this all the time, Ric. It still stands, you made me a small fortune. Ric Edelman:	That’s because you started with a large one. A Ockershausen:	See, you remember that too. Welcome, my very dear friend, Ric Edelman. Welcome to Our Town, Ric. Ric Edelman:	Thank you, Andy, and Janice, it’s good to be with you both. Janice Iacona Ockershausen:	You too. A Ockershausen:	You were such an important part of Our Town, and Our Growth, and all those names that I mentioned to you. Ric Edelman:	Can I correct all of the mistakes you made in your intro? Janice Iacona Ockershausen:	It was actually $860 million. Ric Edelman:	Well, neither one of those numbers has been confirmed. A Ockershausen:	No, we heard. Ric Edelman:	My initial broadcast was with John Lyon. A Ockershausen:	Is that right? Ric Edelman:	Not Trumbull and Core. A Ockershausen:	You mean the phone in? Ric Edelman:	No, my very first radio interview here at WMAL was with John Lyon. A Ockershausen:	You know, we hear about John all the time because of the girls. That story is still stirring around, as you know. But why do we get that as Trumbull and Core? A Ockershausen:	Over the phone or were you in the studio? Ric Edelman:	Both. I mean, I was on periodically and I had the back line, so whenever I heard them talking about something, I could get myself on the air to tell them they were crazy. But, it was John Lyon who discovered me. A Ockershausen:	Well, did they come to you for this information you could provide, or they answer your questions about the market? How did that all begin? Ric Edelman:	Yeah, John Lyon invited me on to the air one day. I think reluctantly, Rick Fowler, who’s still on the air here at WMAL, I think, twisted John’s arm and said, “You really gotta talk to this guy.” John, reluctantly, I believe, agreed to put me on the air on a Friday afternoon at 2:00 PM in his final hour of his four hour show for a 15 minute interview, which meant a grand total of six minutes of air time. John was so impressed that he kept me on through the bottom of the hour, and then asked me to stay for the rest of the hour. I ended up staying the entire hour. At the end of the hour, he said, “Finally, you’re the first guy I can understand about this subject,” then he invited me back to come on the show, and I ended up becoming a regular for John appearing at least once a month for a couple of years until he left the station. A Ockershausen:	That was in the ’80s, of course. Ric Edelman:	Yes. Then after John left, he goes … He had a six day show, Monday through Saturday, and after he left, there was a little bit of a hiatus. But ultimately, they gave me his Saturday morning show, which it was originally a four hour program, which I did and I’m still doing 25 years later. A Ockershausen:	That’s amazing. It’s amazing. I did not know it was John Lyon and my producer didn’t know it. We thought it was Trumbull and Core. Janice Iacona Ockershausen:	I first heard Ric Edelman’s voice talking about the Disney stock as a great Christmas present on the Trumbull and Core show. I was just stunned. I thought the information was great. I, too, feel like I could understand it, and you had to be on this radio station. Ric Edelman:	Well, it’s been a privilege and a pleasure to be here all these years. A Ockershausen:	Well see, but people didn’t know the beginning, but there was a beginning of Ric Edelman, and that’s in Our Town. Thank God it was a part of WMAL ’cause I would hear you occasionally when there was a big story. Harden and Weaver, or the news person, would talk to you in the morning. A Ockershausen:	Right. You were their resident expert, more or less, without being a resident. A Ockershausen:	And then that led to your own show. A Ockershausen:	And led to your own popularity. But in Our Town, Ric, in growing up here, there was never anybody like you before in my experience in radio and television. Then it was not paid attention to finance. We sort of ignored it as an entity, an entertainment entity. A Ockershausen:	And so, we found that it could be entertaining, which is what the secret of your show is. Ric Edelman:	Yeah, that’s really the key. Even today, if you look at The Washington Post, they don’t have a personal finance section in the newspaper. They have a business and economics section. That’s true with most newspapers. They treat Wall Street as a business issue, it’s a place for investors, and it’s about economics or public policy, in the case of The New York Times and The Washington Post. My attitude has been no, this is pocketbook stuff. This is affecting people’s lives on a daily basis. I’m not talking about global macroeconomics. I’m talking about, how much do you tip a waiter? A Ockershausen:	Grocery shopping, daily things. Ric Edelman:	Yeah. I mean, should you buy insurance? If so, what kind? How do you pay for it? What’s the difference between an insurance agent and an insurance broker? Should you buy or lease a car? How do you choose the choices in your employee benefits at work? And understanding a 401k, or a 403b, or the first savings plan, and on and on and on. And so, it was all about pocketbook issues of people just living their daily lives and realizing the dollar signs permeate through just about every decision we make on a regular basis. That’s been my focus, just down in the trenches, helping you get by, and taking care of your ability to get your kids into college, buy a home, care for aging parents, and of course, retirement security. A Ockershausen:	Well, Ric, going back to your suggestion at the time, and Janice heard it, and I recall it vividly about what a great Christmas gift to give somebody some Disney stock. You work for the company. Little did you know, maybe then, but that was a wonderful idea. Ric Edelman:	Yeah, as wallpaper. So, that was where the idea came from. A Ockershausen:	It was a great thought, and that struck a chord with us. But way back before that was a Ric Edelman, let’s go back to you were born in Pennsylvania because you didn’t have a hospital in New Jersey. Ric Edelman:	Yeah. My parents lived in New Jersey. They were both from Philly, but they’re the exodus after World War II to the new burgeoning suburbs in South Jersey, outside of Philly. A Ockershausen:	I know it well. A Ockershausen:	Maybe they’ve got a plaque in that hospital, I would hope so. Here starts Ric Edelman. I remember only one thing before I met your dad and your mom, ’cause you had a celebration here. Janice Iacona Ockershausen:	Yeah, 40th birthday party. A Ockershausen:	That was in 1993 because that was the year we got married and we were going on our honeymoon the following week. They say from Glassboro. Only thing I ever knew about Glassboro was the Russians. Ric Edelman:	Yeah, the Kosygin-Johnson Summit. A Ockershausen:	I thought it was the Russian community, but that was just the meeting place, right? A Ockershausen:	That was your school? Ric Edelman:	It was. I grew up in Cherry Hill, New Jersey and then went to college at Glassboro State College. That’s where I met Jean. She was a year behind me, and Glassboro is a sleepy little college town. A Ockershausen:	It must’ve been. Ric Edelman:	Until I got in. No way I could’ve gotten in anywhere at that, you know … So, today, Glassboro State is a very big deal. It’s now Rowan University. A Ockershausen:	That’s right. I know the name. A Ockershausen:	That’s a good start. A Ockershausen:	But it is a State University. Ric Edelman:	Give me $100 million, I’ll change my name, so that’s what Glassboro did. They’re a pretty big deal now, a major regional University. They own two hospitals, not just one, a major learning center in engineering. A Ockershausen:	Are there like 25,000 students now? A Ockershausen:	You followed Kosygin, then. He was there before you. Ric Edelman:	Well, the Johnson-Kosygin Summit, of course, was the ’60s, way before me. The only claim to fame Glassboro had was that summit. True to Glassboro’s name, the summit was a failure, but it was destined to fail. Kosygin was at the UN, Johnson was in D.C., neither one would travel to the other. Glassboro was exactly halfway between D.C. and New York. That’s how the summit occurred. A Ockershausen:	But it was worldwide publicity, I recall it vividly until your … I don’t know how I found that about Glassboro. Maybe I found out about it with your father and mother at the party that year. Anyway, that you went to school there and met Jean. But where did this finance thing come from? Not from Glassboro, that’s for sure. Ric Edelman:	Not at all, no. A Ockershausen:	That was a regular University, right? It’s a University now. Ric Edelman:	It is now, but it was a sleepy little college, it was a teacher’s college, predominantly, which is why I went there. I was majoring in education. I switched over to communications. When I came to Washington immediately out of graduation, I was here within two weeks. Back in college, I was interning for a Congressman, and my intent was to come to Capitol Hill and work there for Congress. I quickly decided I didn’t like Capitol Hill, for all the reasons everybody hates Capitol Hill, but I loved the D.C. area. So, I stayed here. Jean came down a year later when she graduated, and we’ve been here ever since. That was since 1981. A Ockershausen:	Did you get married here or in Jersey? Ric Edelman:	In Princeton. Jean was from Cranberry, New Jersey, outside of Princeton. And so, we got married in Princeton. A Ockershausen:	But didn’t go to school there? Ric Edelman:	No. We visited once. They kicked us off the campus. A Ockershausen:	So you ended up in Washington working for the Congress here? Ric Edelman:	For a day, a whole day. Then I went to work in the nonprofit sector for a trade association in the healthcare field and I was their writer, editor, and meeting planner, did that for a couple years, and then moved over to pure journalism, which is basically what my degree was in, journalism, advertising, PR, communications, radio, TV, film, all that kind of good stuff. The publisher I was working for, I was editor of a pharmaceutical magazine because the healthcare trade group I was with was in the rehab field. And so, my expertise was developing in healthcare and medicine. But my publisher owned dozens of publications, including several in the financial field. There were 23 of us on the writing staff, and we would occasionally help each other out with deadlines. A Ockershausen:	Based in Washington? Ric Edelman:	Here in D.C., yes. A Ockershausen:	In Our Town? Ric Edelman:	Yeah, McLean, actually. I started writing in the financial trade press just on an as-needed basis, and that was my intro to money. Until then, I knew nothing about money. I continue to brag today that I graduated college without ever having taken a business class. That’s weird for somebody who built a firm, managing now $18 billion in assets, but I’ve learned it really, really helped me because I wasn’t brainwashed by those guys in business school. A Ockershausen:	I understand that. You were a fresh idea with a fresh face, which we always said, Ric. You had a perfect face for radio. We love you for that. Thank the Lord every day, we thank for Ric Edelman, and what he’s done for WMAL, and for Our Town. This is Andy Ockershausen. I’ll be back in a moment with more Ric Edelman. A Ockershausen:	This is Our Town. Andy Ockershausen, explaining to Ric Edelman, our guest, that everything we talk about in this radio signal that we have at WMAL, we consider Our Town. You’ve been such a big part of that, and the success of this radio station, and our involvement with the community. Janice and I recall vividly, the story of you traveling to New York City right after the 9/11, or somewhere in that period, and found out you personally felt that the city was not only devastated, but people were in shock. Nobody was working. Restaurants weren’t crowded, subways were okay, and you came back and talked about it. Ric Edelman:	Yeah. We all remember vividly, of course, and we all wanted to help. We all wanted to do something in support. A lot of us just donated money, many donated time and effort. I remember vividly, Rudy Giulliani saying, “Please come to New York. The city needs you. We need your tourism. We need to get the city back moving again.” And so, Jean and I looked at each other and said, okay. The mayor just said come, so we’re going. We went with another couple, clients of ours and good friends, and the four of us went to the city. It was 11 days after the bombing. We went to the city, and we’re big fans of the city. Jean and I have an apartment in the city and have had for years these days. But back then, we just loved … Who doesn’t love New York City? A Ockershausen:	The Big Apple. A Ockershausen:	It’s the Fall. That’s where New York happens every Fall. Ric Edelman:	Exactly, and the place was empty, not a single table except us for lunch. We got in a conversation with the waiter about it, and he was just describing what life was like in the city in the aftermath of 9/11. So when we finished, the four of us decided we’re gonna leave him a $150 tip. We did. We got up and we left. He came running after us. He said, “You left me too much money.” He thought we made a mistake. He said, “You left me me too much money.” He was trying to give it back. We looked at him and said, “No, no, no. That’s for you.” He started to cry, and so did we. A Ockershausen:	‘Cause you saved his family. I mean, those were bad days. Janice Iacona Ockershausen:	What was significant is that you came back and you talked about it. That made things run. Ric Edelman:	Yeah. So on my show that weekend, I talked about the experience we had in New York and encouraging others to support the city. A Ockershausen:	Guido Adelfio, Bethesda Travel, heard the show, knew what you were doing, and planned a bus trip. He got Janice, and several other people that we know and associated with, to do that very thing, to go to New York as tourists. He took them by bus, and they stayed in New York, and they had a wonderful time because what you were talking about, it was a humanitarian effort and it was easy ’cause New York is a great place, particularly in the Fall. Ric Edelman:	It also inspired one of my books. I was working on a book at the time and met with my publisher. Of course, all we talked about was 9/11. It’s all anybody was talking about. They said, “What advice to you have for people?” I said, “There’s a whole raft of things people need to do in the aftermath of 9/11.” We have to remember banks were closed for three days, many businesses were destroyed, people were uncertain as to their economic situation, and there was a lot of advice that needed to be given. And so, they said, “Can you write a different book on that?” And so I wrote the book, Financial Security in Troubled Times. I wrote it in the course of a weekend. I wrote it in less than 72 hours. A Ockershausen:	I wonder how you get this done. You’re so prolific in writing. Where do you get the time? Ric Edelman:	It was my therapy. Like I said, we all wanted to help. Ric Edelman:	And so every time I got tired, I went and turned on the TV and saw the rubble and the first responders dealing with the aftermath, and I went back to typing. And so, in three days, I produced the manuscript. HarperCollins published the book in less than a week. Ric Edelman:	And it was on bookshelves. All of the money went to 9/11 relief funds that we raised from sale of the book. Everybody in America has done things like … What I’m describing isn’t particularly unique or superhuman. We all did a lot to demonstrate our concern and our love. A Ockershausen:	Airports were shut down for three days. Nothing happened in Washington National Airport, or Reagan. We had to combat air patrol over Our Town. These were rough times for more than New York City. Ric Edelman:	It’s as emotional today as it was then. A Ockershausen:	You know, to think about that combat air patrol and we’d get up for our morning walk and hear this airplane flying over. Ric Edelman:	Well, I remember listening to the show and hearing you come on the air with a phone call to Chris Core because you witnessed The Pentagon attack. You became the man on the street reporter because it was just happenstance that you were there. A Ockershausen:	That’s exactly right. It was an accident. Ric Edelman:	But it was so profound, and frankly, prophetic that you were there, a talented newscaster being able to communicate effectively about the horrific sites you were witnessing. That is just another example of WMAL and living in this town. Ric Edelman:	That’s just because you used to linger in those alleys. A Ockershausen:	I did. All the good things you have done over the years, now the books, you still are writing, writing, writing. 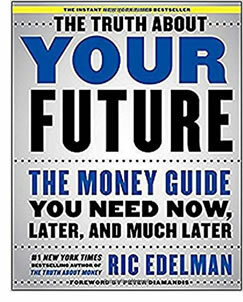 Ric Edelman:	I just released my ninth book, The Truth About Your Future. A Ockershausen:	Yes, and that’s the big … You’re getting an award for that, correct? On the 24th? Ric Edelman:	There’s an award being given to me, the Loren Dunton Memorial Award, by the IARFC. I won’t bother explaining what that is, but it’s essentially a lifetime achievement award. It’s in recognition of contributions to the financial services industry and to consumers in the personal finance space. A Ockershausen:	You’re downplaying it, but this is a big, big award, I’m told. I’m not familiar with the financial world, except through your eyes, but it seems to be a big event on the 24th and of significance, but that is not your last book, obviously. This is the latest book, but you will still continue to write. Ric Edelman:	We’ll see what comes next. Right now, I’m happy that The Truth About Your Future is doing well. It was an instant New York Times bestseller. It’s gotten rave reviews, and it’s an important book because it addresses technology in the future and how that’s impacting our personal finances. It changes everything. And so, although it’s my ninth book, it’s really the first of its kind. Janice Iacona Ockershausen:	Talk a little bit about the contents and what point you’re trying to make about the book. Ric Edelman:	Well, we’re living in exponential times. We’ve all heard of robotics and we know about self-driving cars and drones, but nobody has really stopped to say, “What does it mean for me and my personal finances?” So the book raises awareness and says, “Here’s where we’re going. Here’s what it means.” Number one, it means we’re gonna live an awful lot longer than you realize, forget about age 85 or 95 life expectancy. You’re gonna live to 110, 120. That means retirement is totally changing. It means you’re gonna work a lot longer, but it also represents risks because robots and artificial intelligence are gonna wipe out most current jobs that exist, which means you’re going to have to go back to school and get retrained. That creates disruption, it creates a financial challenge. Where do you get the money to go back to school? How do you maintain your lifestyle while you’re transitioning? It has impact on your housing, on insurance, and most important of course, your investment strategy, and that’s what the book explains. Ric Edelman:	What the mind can conceive and believe, it can achieve. A Ockershausen:	Anything a man can think of. Ric Edelman:	And thanks to Moore’s law, where it basically says computer capability doubles every 18 to 24 months, we are seeing incredibly amazing advances in technology and innovation. It’s the speed with which they’re coming that is shocking. It’s not that we’re gonna be flying cars in the future. We all know George Jetson is in the future, but the key is how fast it’s coming. Do you want to take a guess when you’re gonna see flying cars? Ric Edelman:	What do you think, Janice? Ric Edelman:	July. Singapore, Indonesia, and India are launching self-flying cars in the summer of 2017. They will carry a passenger up to 220 pounds for a 30 mile trip at 100 miles an hour. The future is here. We need to recognize the importance of adapting to this so that we can survive and thrive in the 21st century. A Ockershausen:	But the things that you’re speaking of, and I’m not into that, Ric, in any way, shape, or form. But the fact is that companies I heard of two years ago are gone now. Ric Edelman:	Absolutely right, yeah. The best illustration is Kodak. 2012, 135,000 employees, 100+ year old company goes bankrupt because we stopped buying film. Ric Edelman:	And they couldn’t adapt to digital photography. Along comes Instagram, 18 months old, 13 employees, is sold for $1 billion because of digital photography. So, we have to recognize that companies built for the 20th century will fail in the 21st. That’s why investment management strategy is so vitally important and why we’re spending a lot of energy on this with our clients at Edelman Financial Services, and why it’s so vitally important that your investment strategy be one that is designed for success in the future, not built on the past. A Ockershausen:	Ric, when we first met, I thought you and Jean were working out of your house somewhere in northern Virginia. Ric Edelman:	We were living in Maryland. We did something, I didn’t know you weren’t allowed to do this. I don’t know if I broke a law. I think it is a law, frankly. We were living in Maryland when we first moved to the area, and then we moved to Virginia. I didn’t know you’re not allowed to do that. Then we moved back to Maryland, then we moved back to Virginia. We were just angering everybody, frankly. It’s like, how dare you cross that river? A Ockershausen:	Oh my God, yeah. Ric Edelman:	It’s bad enough people do it for work, but to move your residence, oh my goodness gracious. So, we consider ourselves true Washingtonians and not just Marylanders or Virginians. We just love this area so much. We did begin our business in our apartment. We had a basement apartment. When you start a business, you know what it’s like, you start with nothing. We had no support network here. Our families were not from here. We didn’t grow up here, so we didn’t know anybody here. A Ockershausen:	That’s right. You were a stranger. Ric Edelman:	And I was 28-years-old. Jean was 27, and we were just, okay, we’re going to suddenly provide financial advice to people. Normally, when you’re gonna get into a business, you go to family and friends. That’s how you get started. A Ockershausen:	In the city? Ric Edelman:	Boonies of Silver Springs, way north Silver Springs. We ran an ad in The Post saying, “Moving family. Must sell everything.” We had a yard sale, and we sold literally everything we owned, with the exception of our clothing and a kitchen table, my best friend from school built for me. We sold our television. We didn’t own a TV for four years. We sold everything we had. When we moved into this apartment, we had no furniture. We literally sat on the floor for four years with no TV. I built my business plan in that apartment for creating our financial planning firm. That business plan was one page, and it called for me to eventually, after a year, generate a profit of $3,000 a month. That was my goal. If I could make $3,000 a month, we could pay the rent, we could buy food, and Jean and I would be fine. That was the basis of starting our fledgling little financial planning practice. That was in the mid 1980s. A Ockershausen:	And you achieved that goal? A Ockershausen:	$3,000 a month? Ric Edelman:	Well, it took more than six months. A Ockershausen:	Right, but you did it? A Ockershausen:	But you had a goal? Ric Edelman:	Yes, but it took us more than four years to get out of that apartment and move back to Virginia into a townhouse. So Jean and I know what it’s like. When you run an ad saying we’re selling everything, you learn that materialism doesn’t matter. It’s just stuff. Ric Edelman:	The only thing that mattered was that Jean and I were together, we were doing it together. Ric Edelman:	That’s exactly right. A Ockershausen:	Get rid of them. Ric Edelman:	As George Carlin said, “Is it a knick or a knack?” And so, Jean and I did it together. We worked together in building the business, and that’s all that mattered to us. So every dollar we generated every time we collected revenue from a client for providing services to them, we reinvested that money back into the business for growth and improved client service, and we’ve been doing that for, now, 31 years. Ric Edelman:	Right. What I realized is that here I am 28-years-old, don’t know a soul in town, trying to get people twice my age to invest with me and why on Earth would they give their money to a young kid with no background, no credibility, no experience, no nothing. So I said what I need to do is demonstrate my experience. I have to demonstrate my expertise. What better way to do that than by doing a seminar? But when we thought of doing seminars, we realized what we want to do is focus, instead, on people who are currently being denied advice. We didn’t want to go to millionaires because they get advice from everybody. A Ockershausen:	Whether they like it or not. Ric Edelman:	Exactly. So instead, let’s go to people who are being ignored. And so, we went to PTA groups of elementary schools and taught college planning to these young parents. We did that for a couple of years and eventually did these seminars to just about every PTA group in the D.C. area, and that’s what caught the ear of John Lyon. A Ockershausen:	That triggered him. Ric Edelman:	To invite me on the air. Ric Edelman:	And then from there, News Channel 8 invited me to do a TV gig, and then writing books, and so on. Janice Iacona Ockershausen:	I want to . . .
A Ockershausen:	. . .but I will tell you at one time, this radio station had four out of every listener in the greater area in Our Town. I would say it’s almost impossible to think, now, how powerful that was to have listeners. Ric Edelman:	Right, and I had no idea. I was just invited on the air. Ric Edelman:	I didn’t realize the power and strength of WMAL. A Ockershausen:	And John Lyon was a great interviewer, a great guy. We love John. Ric Edelman:	He made it so easy. A Ockershausen:	He’s a terrific guy. A Ockershausen:	Well, Ric, we’re hearing so much about you that I hadn’t known. We’re gonna come back and talk about your future books. This is Andy Ockershausen. This is Our Town. Tony Cibel: Hi, Tony Cibel here to tell everybody about our newest restaurant over off New York Avenue. It’s called Ivy City Smokehouse. 1356 Okie Street NE. Right next to the Hecht Company warehouse. It is terrific and we have the only seafood smoker in the District of Columbia. When you go to your grocery stores or your delis, ask for Ivy City Products. 202-529-3300 or Ivycitysmokehouse.com. A Ockershausen:	This is Andy Ockershausen. This is Our Town. I’m talking to Ric Edelman, who’s a big part of Our Town, a big part of our success of WMAL. We’re hearing a story about how he got started, and I think I’ve listened to Ric enough to know that everybody’s got a chance if they want to take a shot, and get busy, and work hard. Janice Iacona Ockershausen:	Ric pioneered, and Ric, I have to give total credit for, the present-day expert programming that we run on the air and that everybody has followed suit. So Ric, you’re really just a trailblazer in so many ways. Ric Edelman:	Well, it wasn’t my intention. In the early days, and even still today, I’m a member of the WMAL talent staff. I’m paid to do the show, like other members of Our Town. I’m a member of SAG-AFTRA, the broadcasting union, along with everybody else. That model really doesn’t exist anymore. Ric Edelman:	Now when people try to get on the air, they do have to buy their way on. Ric Edelman:	That wasn’t the case with me. A Ockershausen:	You’re one of the talent that we brag about on WMAL. Ric Edelman:	So it made sense to advertise on the station. As a matter of loyalty, we advertised only on WMAL and no where else. Janice Iacona Ockershausen:	I think that is a tremendous sense of pride. A Ockershausen:	It’s a tribute to you, Janice. Janice Iacona Ockershausen:	Well, for our radio station, WMAL, because you just embraced it and the audience embraced you, Ric. Honestly, from what I remember, I could be wrong, but what I remember is right there at that pivotal point in the history of our city, Our Town, as you were emerging, there weren’t masses that invested at the time when you were coming up, not like they do now. You created that segment. You don’t even take credit for it, which I give you credit, but you should take credit for the fact that you have educated, because that’s exactly what you were. You are an educator. Ric Edelman:	Well, I remember the very first question John Lyon asked me on that very first studio interview. He said, “What’s a mutual fund?” Which today, everybody knows what a mutual fund is. A Ockershausen:	But then, they didn’t. Ric Edelman:	Half of all US households own them today. But back then in the 1980s, we’d began to hear about these things, but nobody owned them. This was back in the day when you didn’t have a 401k, you had an employer controlling your retirement account. You didn’t choose the funds to pick. The employer did it. And so, people really weren’t familiar with any of this stuff. The notion of financial planning, nobody ever heard that phrase. They didn’t know what it was. Janice Iacona Ockershausen:	And how about don’t pay off your mortgage? That was you, Ric, that was you, about the RIC-E Trust® [pronounced “Ricky”]. That was you. A Ockershausen:	Like you said, working for the family store or whatever it is. We didn’t think about retirement. We didn’t think about hospitalization. It was part of being on WMAL with employees. I’d never give it a thought about I had to worry about my own health. A Ockershausen:	That is what happened. Ric Edelman:	Or the government to do it for you. You, instead, were responsible for your own future. Janice Iacona Ockershausen:	And how about Enron coming along? Janice Iacona Ockershausen:	And how about you preparing people so they wouldn’t get involved in the Enron situation? Ric Edelman:	Right. Well, we had financial abuse, we had the tech market blow up in 2001, we had all kinds of abusive scenarios occur, we had massively changing tax laws, The Tax Reform Act of ’86, and all these kinds of things happen. And so, people were really befuddled because there was no outlet. There was no resource for people to get this financial education. I came along at a fortuitous time, and what proved to me one of the most financially successful markets in the country, Washington, D.C., which remains today the most successfully financial market in the country. 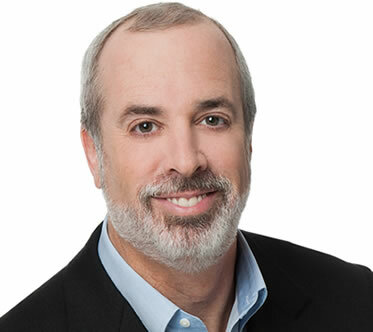 Ric Edelman:	I became pretty well-known for offering controversial, unconventional advice. It was not typically what you heard from others in the industry. Janice Iacona Ockershausen:	And that we couldn’t get enough of. Ric Edelman:	Well, I appreciate that. Ric Edelman:	It’s all part of the advice we get, is helping people get out of that credit card debt. A Ockershausen:	I’m sure of that. A Ockershausen:	We used to get mail, right? A Ockershausen:	The leader of the pack. A Ockershausen:	But your new book is out now, The Truth About Your Future. Janice Iacona Ockershausen:	It is about the future. You’ve jumped ahead. You’re addressing these fears that people have. Ric Edelman:	Well, I appreciate the sentiments very much, and I’ll simply add that past performance is no guarantee of future results, and any assertion to the contrary is a federal offense. Janice Iacona Ockershausen:	And United Way, you stepped in. Ric Edelman:	Well, Jean and I have always felt that with opportunity comes obligation and responsibility. And so, we have always felt it very important to support the community that has done so much for us. When the United Way’s scandal emerged back in the day and they were looking for new leadership to help fix the organization, I raised my hand and agreed to join the new board that they built. I ultimately became the chairman of the United Way, served on the board for six years, and helped to reestablished the organization as a legitimate, honorable, trustworthy group worthy of your donations. When INOVA needed help, we discovered that nurses were kind of being forgotten. There’s such a focus on medical technology and infrastructure, you know, let’s build another wing, let’s buy another piece of gear. At the end of the day, healthcare is all about the people. So Jean and I provided funding to INOVA to create the Edelman Center for Nursing. We create scholarships, we provide career advancement opportunities for nurses, we sponsor an annual Nursing Day where 600 nurses get the day off and they come to a conference of subjects just for them. I usually speak, Jean always does, and we’ve also been very supportive of our alma mater at Rowan University. We provided funding for the Edelman Planetarium, and most recently, the Ric and Jean Edelman, strike that, the Jean and Ric Edelman Fossil Park. A Ockershausen:	You better remember that, brother. A Ockershausen:	Living proof of that, Ric. A Ockershausen:	And you’ve had time in all of this busy life that you lead. I don’t know how you have time to write a book and still be involved like you are, but you do it, and you do it so well. I have not read your new book, but I will. But you mean so much to us and to WMAL, which means so much also. Ric Edelman:	Well, I’m very grateful for the opportunity that WMAL gave me. They took a leap of faith. Never before had there been personal finance broadcasting. Ric Edelman:	The subject of money and investing, and they took a gamble. Their reputation was on the line, and they provided me an opportunity that I will be forever grateful for, and I hope that in some small way, I’ve been able to honor the station and its mission by providing valuable content for the audience. A Ockershausen:	Absolutely, Ric, nothing but the best. Then the great part about it is it goes on today. Like we said, you’re the longest running show. A lot of people try to copy Ric Edelman and they provide programming, right here on WMAL, but it’s different. Whatever reason it’s different, they just can’t hit the long ball. Ric Edelman:	Oh, I can tell you why. A Ockershausen:	You’re special. So what is, Ric, now … What I read about you’re getting involved with baseball. I know we’ve been to a couple of receptions involved with Northern Virginia baseball. Ric Edelman:	Yeah. One of the things that bothers us is if you look at Loudoun County, the fastest growing county in America, highly affluent, very diverse, very large, doesn’t have a Cultural Center. There’s no opportunity for affordable family-friendly entertainment. And so, I joined a few others with the idea of let’s bring minor league baseball to Loudoun County. I mean, traipsing into D.C. I love The Nationals. I was the first person to buy season tickets to The Nationals when they first came to town. Janice Iacona Ockershausen:	No kidding? Ric Edelman:	So I’m the longest season ticket holder. A Ockershausen:	10, 11 years ago? Ric Edelman:	Yeah, I’m the longest season ticket holder, four seats right behind home plate. A Ockershausen:	Do you ever go? A Ockershausen:	You’re so busy writing. Ric Edelman:	Yeah, I go to 10 to 20 games a year. A Ockershausen:	Oh, do you, Ric? Ric Edelman:	Big, big fan of The Nationals. But, it’s a bit of a haul going from Northern Virginia all the way in to The Nationals. It’s also very, let’s admit it, very expensive to go to professional sports. A family of four can’t afford to do this very easily. But if we can provide local minor league ball where it’s literally in the neighborhood, where tickets are $10, and a hot dog is $3, this is a huge opportunity for families to enjoy themselves in an affordable way. That’s true Americana. I don’t know if we can pull it off or not. The economics, frankly, are against us because we’re doing this on such an affordable nature with no government financing, which is unheard of in sports’ stadiums. Frankly, it’s not that exciting of an investment. I’m doing this as a private enterprise, not involved with Edelman Financial Services because quite frankly, it’s not something I could recommend to clients. It’s not that good of an investment opportunity. But it’s a fabulous investment opportunity for the community. Ric Edelman:	So we’re hopeful to make it happen, and the jury’s out yet as to whether we’ll be able to. A Ockershausen:	One of the problems, the influences cause the problem, land value in that county have shot up. A Ockershausen:	It’s a very expensive place to live. It didn’t used to be. Ric Edelman:	And county finances are a challenge. Quite frankly, the county has better things to do with its money than build a stadium. There are schools, and there are hospitals, and there are poor, and there are needy, and all kinds of issues. So asking the county to come up with tens of millions of dollars to build a ballpark isn’t something I can agree with. So the question is, can we build it through private funding? That’s frankly something that’s never been done. So, I don’t know if we can do it, but if the community wants it built, it’ll happen. A Ockershausen:	Many years ago with involved with the Community Chest, and United Way now, we try to get money out of certain Northern Virginian families, like the Mars family that has enough impact on this community and this world to supply the money to do something like that. We’ve never been successful. A Ockershausen:	Not compared to Mars. Ric Edelman:	Yes, there are. Ric Edelman:	There are a lot of folks around here who have the ability to write checks. The fact that they don’t write checks, it’s not a criticism, not at all. A Ockershausen:	Oh, no, I’m not saying that. A Ockershausen:	The problem with Mars in Arlington County, and, they’re not gonna help you in Loudoun County. Anyway, I like Mars’ Field. Ric Edelman:	I don’t think that our efforts to build a ballpark have anything to do or not to do with any particular wealthy family. A Ockershausen:	I’m involved in it and I care about it because of Loudoun County because of you and because my affinity with baseball growing up here with the Senators. So happy they’re back. I was there last night and had a wonderful evening. I just can’t tell you how important it is to a community to get people together from time to time. That’s what it would be. It’s a cultural thing. I know it’s a long reach, but I think baseball would be part of the culture of young people growing up. Ric Edelman:	Well of course, it’s not just about baseball. By building the stadium, now you can do concerts there, now you can do little league, now you can do high school graduations, now you can … What you’re doing is building a facility that creates a center of influence for the community to come together in a fun, enjoyable, family-friendly way. It’s not about baseball. It’s about creating a family-friendly opportunity in Northern Virginia, which currently, sadly, for all the affluence that we have in this town, it doesn’t exist. A Ockershausen:	The most cultural thing out there is Redskins and they want to move into the city. Well, Ric, this has been a delightful time to find out all this about you. I thought we knew everything, but you talk about … Janice has listened to you all these years. She’s run her business like that, only seven years, but she’s been exceedingly successful, Janice, because of Ric Edelman. Janice Iacona Ockershausen:	My base, my first big client when I made the transition from production and promotion into sales, Ric Edelman, Rick Fowler brought Ric Edelman to me and he was my very first client. You were my very first client on WMAL. Unbelievable. A Ockershausen:	And your very first client in your own business. Ric Edelman:	Well, we’ve grown up together, Janice. Janice Iacona Ockershausen:	Yes, we have. A Ockershausen:	Best Bark Communications. Ric, we wish that Jean was here with you because she knows stories. Ric Edelman:	And she would tell the truth. I made all this up. A Ockershausen:	I know. You’re a financial planner. We understand that. But Ric, nothing but the best for you. I hope your book is a huge seller, and I know it will be, and I’m waiting for the next one. I’m kind of scared of this future you’re talking about. Unfortunately, I don’t think I’ll see much of it, but the community will and it’s gonna be so exciting. It’ll be changed from what we think today, next week’s gonna be different. A Ockershausen:	It just blows my mind. Ric Edelman:	Well, it’s been a lot of fun being here, and reminiscing, and I’ll just encourage everyone to stay tuned to WMAL. A Ockershausen:	Way to go. This is Andy Ockershausen. This is Ric Edelman, and this has been Our Town. Announcer:	You’ve been listening to Our Town, season two, presented by GEICO, our hometown favorite, with your host, Andy Ockershausen. New Our Town episodes are released each Tuesday and Thursday. Drop us a line with your comments or suggestions. See us on Facebook or visit our website at ourtowndc.com. Our special thanks to Ken Hunter, our technical director, and WMAL radio in Washington, D.C. for hosting our podcast, and thanks to GEICO. 15 minutes can save you 15% or more on car insurance.